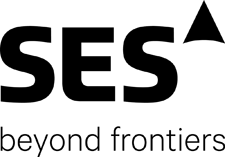 SES is expanding their efforts to support 5G developments as part of ESA’s ARTES project, SATis5, where it will be enabling demonstrations of satellite-terrestrial integration for 5G networks. The testbed infrastructure will comprise SES's fleet of GEO and MEO satellites, which will be integrated with terrestrial networks and state-of-the-art technologies. 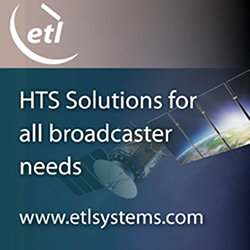 In addition to providing the space segment, SES's headquarters in Luxembourg will also host a SATis5 testbed node with prototypes of networks for satellite integration, along with other nodes located in Berlin and Erlangen, and an additional portable node. SATis5 will act as a best-practice pathfinder for the trials, via live demonstrations of 5G satellite use cases such as enhanced mobile broadband (eMBB) and massive Internet of Things (mIoT) usage scenarios. The demonstrations, which will start in 2018, will showcase satellite integration capabilities in a mix of infrastructures for 5G and foster adoption of satellite as part of the 5G architecture. In addition, the SATis5 test bed will support 5G standardization initiatives, including the 3rd Generation Partnership Project (3GPP). The SATis5 project team is led by Eurescom and is further comprised of SES, Fraunhofer FOKUS, Fraunhofer IIS, Newtec, Technische Universität Berlin and Universität der Bundeswehr München. In order to develop the 5G ecosystem, SES has been working closely with all stakeholders across the value chain, and is participating in various initiatives, including the complementary SaT5G project, funded by the European Commission. John-Paul Hemingway, EVP of Product, Marketing and Strategy for SES Networks, reported that SES' extensive fleet delivers performance and unparalleled reliability, successfully complementing terrestrial networks. This is essential in providing maximum service coverage and capacity for 5G.